This guest blog was written by Christie Vilsack, literacy advocate, politician, and former First Lady of Iowa. Watching the documentary RBG about U.S. Supreme Court Justice Ruth Bader Ginsburg last week with my husband Tom, I was reminded that no successful person—especially those who are under-represented, like women on the Supreme Court—ever get there without help. Ginsburg, who is brilliant yet reserved, didn’t campaign for the job despite a list of legal victories involving women’s rights cases. However, her husband Marty, who was a lawyer and well-connected in the legal community in New York, championed her appointment. 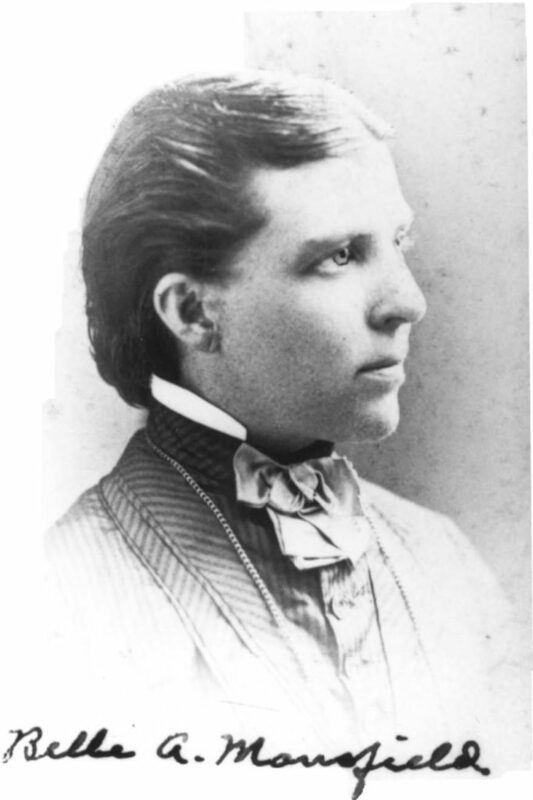 At the expense of his own career, he managed the home front and work, so she could pursue cases that have given American women rights we take for granted. Watching RGB reminds me of another lawyer whose accomplishments we are celebrated this month in my hometown, Mt. Pleasant, on the Iowa Wesleyan campus where Belle Babb Mansfield graduated at the top of her class. Her brother Washington Babb graduated just behind her and began studying the law at the local Ambler law firm. When Belle graduated she convinced her brother and the lawyers in the Ambler firm to allow her to study the law with them. After two years as an apprentice, three local lawyers oversaw examinations in 1869 and deemed Belle “imminently qualified to practice law in the State of Iowa.” Unfortunately, the Code of Iowa only allowed white men to be admitted to the Bar Association in Iowa. Belle challenged the law and the Iowa Supreme Court ruled that the law didn’t specifically say that women couldn’t be admitted to the Bar. 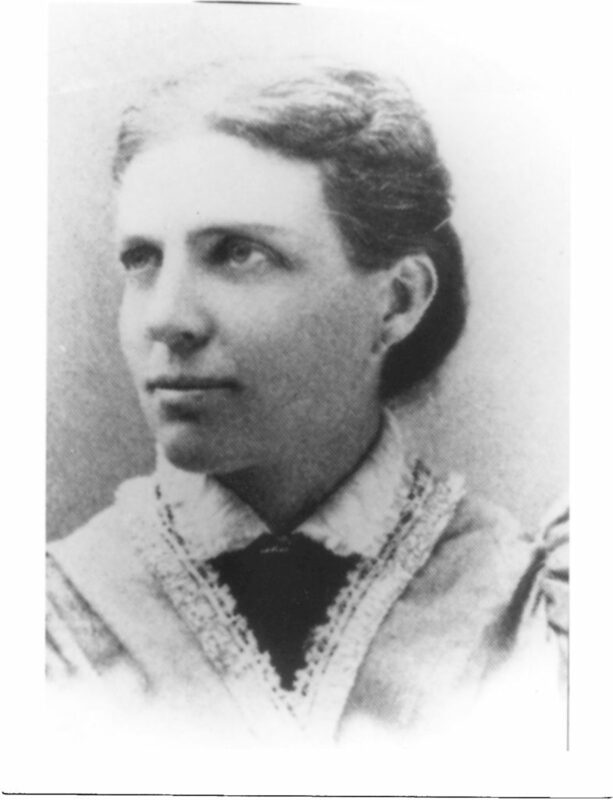 In 1869 Arabella (Belle) Babb Mansfield became the first woman admitted to the Bar in the United States. Rather than practice in the traditional sense, she hit the road in Iowa speaking on behalf of women’s suffrage. Until 2008 there was little evidence of her existence in Mt. Pleasant where she attended college, became a professor, studied the law, and was admitted to the Bar. 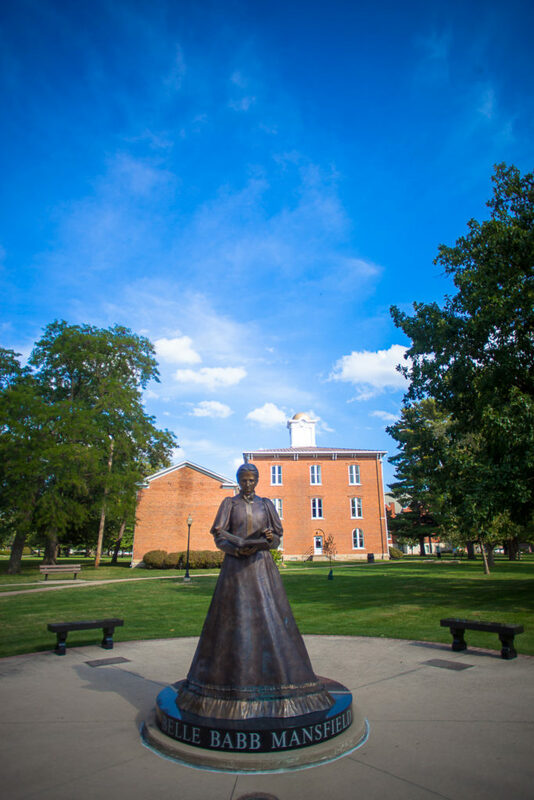 Local activists changed that by building a 9-foot statue in her honor on the Iowa Wesleyan campus. We also honor her each year at the Belle Babb Mansfield Symposium, which brings women of note to campus who have illustrated the philanthropic nature and pioneering spirit that Belle embodied. This year we honored Dr. Angela Sadler Williamson, an instructor in the communications department of Concordia College in California and a documentary filmmaker. 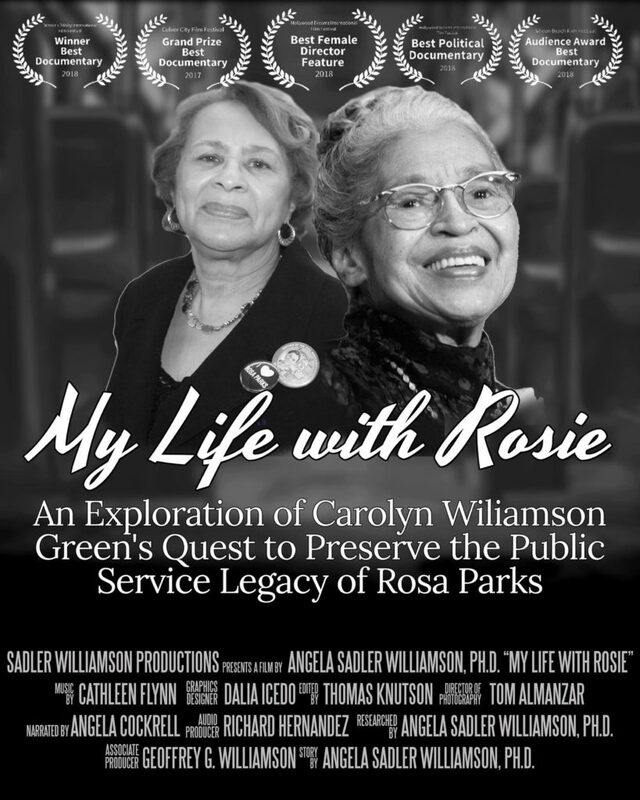 Students and community members watched her movie, My Life With Rosie, which honors her cousin, Civil Rights activist Rosa Parks. At a dinner in her honor she received the Belle Babb Mansfield Award. In her remarks, Dr. Sadler paid tribute to those who opened doors for her, many of them female filmmakers. These days we sometimes scoff at men holding doors for women. But without the door openers and the door holders many of us would not have mustered the courage to walk through doors that had been previously closed to us. Next year we’ll celebrate the anniversary of a woman’s right to vote with the Iowa Women’s Foundation and other organizations which support women. Let’s all become door holders and door openers for those who haven’t yet had their chance. Women’s History Month – A Look at History or a Call to Action?